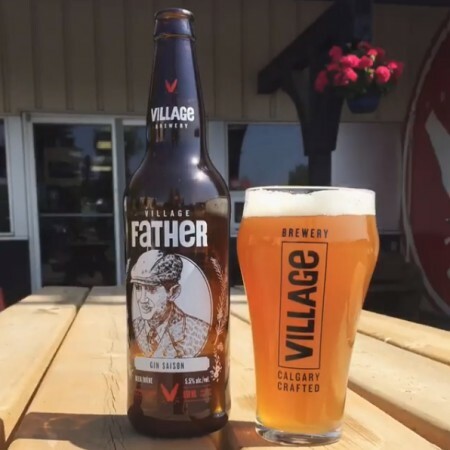 CALGARY, AB – Village Brewery has announced details of this year’s version of its annual Father’s Day release. This English Father originally hails from London. Bright and pure in tradition, this chap lends a cocktail of botanicals from his favorite spirit. Crisp, piney notes of juniper berries, combined with refreshing hints of citrus and pepper perfect this golden Saison. Village Father Gin Saison is available in a single batch of 650 ml bottles at the Village Brewery retail store and select beer retailers in Alberta while supplies last.